The era of the 'mix tape' may have evolved into that of the 'playlist', but people have been sharing their cultural tastes for generations, passing along small glimpses into their personality and times. Similarly, the top-ten lists come flooding in every new year, as do those desert island picks. 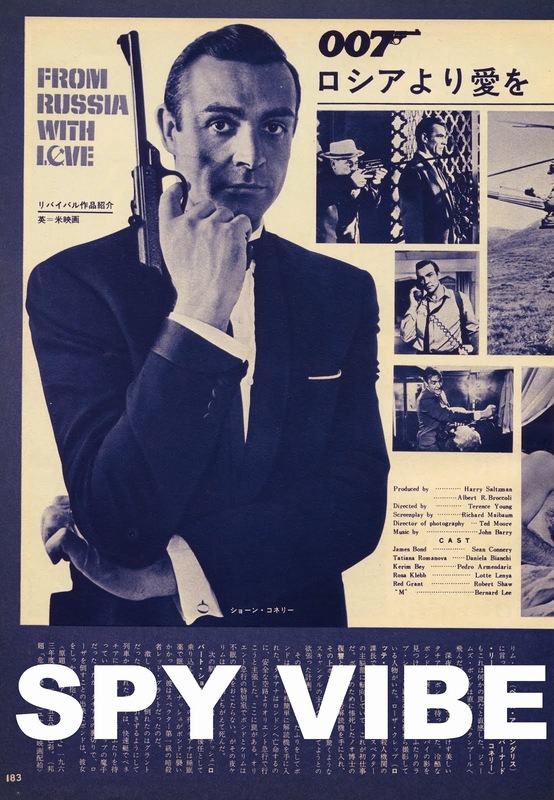 This week on Spy Vibe, we look at the musical world of Ian Fleming. Series links: Noel Coward,Whispering Jack Smith, Hawaiian Guitar, Joe Fingers Carr. First up: Noel Coward. 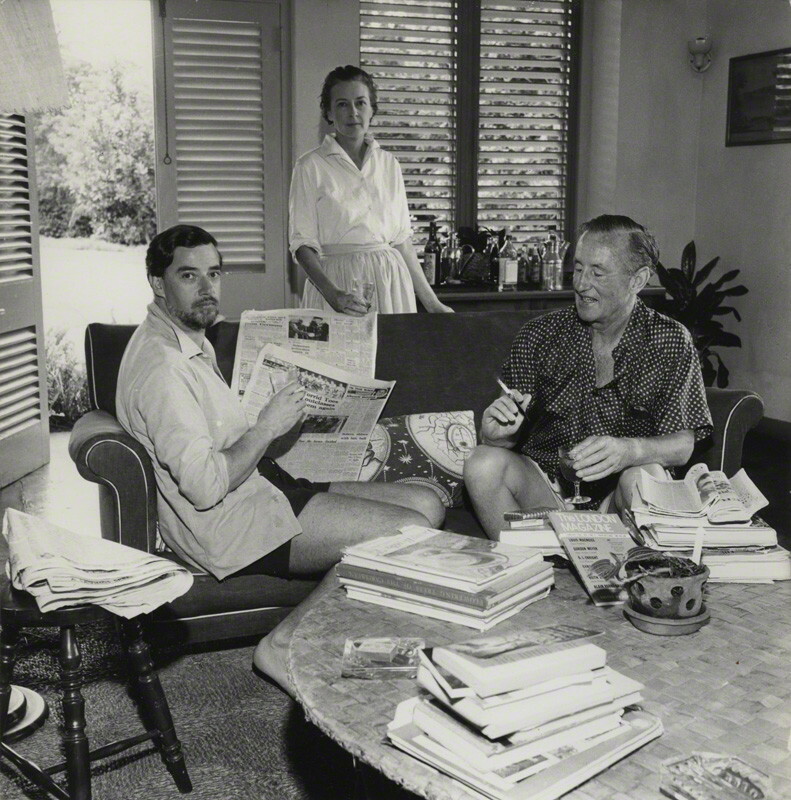 Ian Fleming looked up to the playwright/composer and great wit, Noel Coward. Coward had famously rented Fleming's Goldeneye in Jamaica, which he christened 'goldeneye, nose, and throat' for its sparse clinic atmosphere. He later built his own home down the beach and the two became neighbors. 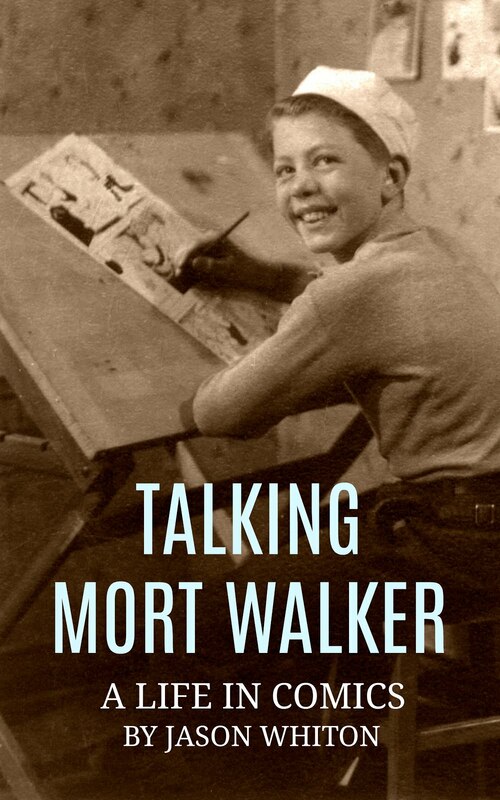 Coward was a close family friend and Fleming biographies and documentaries are filled with wonderful and humorous anecdotes. One famous story is Coward's telling of Fleming's private wedding, in which the bride and groom had to turn their heads away from the bad breath of the officiate. At the party back home, they ate black crab, which Noel said tasted like ashes from a tin can, and then buried the remains of a green wedding cake in the yard. Noel Coward wrote a number of witty tunes about Fleming and Goldeneye, but maybe the most famous is the Goldeneye Calypso. Spy Vibers may have heard it in the Ian Fleming documentary on the Living Daylights disc. In the song, Coward captures the couple's long affair and the strange dynamics between Fleming's Kemsley Press and Ann's ex-husband's Daily Mail. Here are the lyrics as they appear in the Complete Verse of Noel Coward. The unusual image below of Ian and Ann with writer, Alan John Ross is from the National Portrait Gallery. Mongoose murmur ‘Oh my- oh my! Sweet as honey from bee. Mongoose giggle, say, 'Me no deaf. Whitecliffs too near the sea. Both the Stephensons, Margaret Chase. Now you common as me. 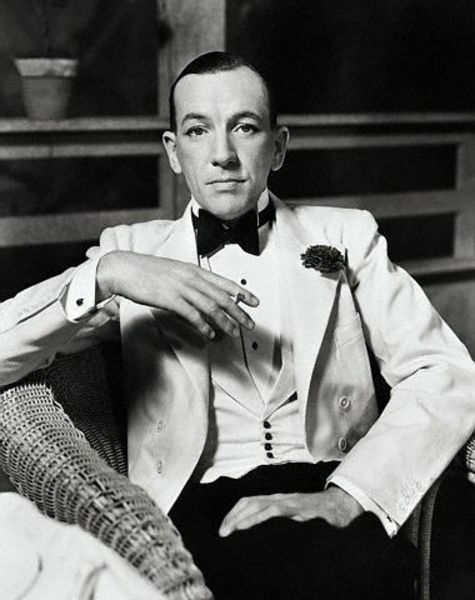 Among his many experiences in life, Noel Coward also did some spying during WWII. From Reuters: "As to his covert wartime activities, Coward was dispatched to the United States before it entered the war to gauge local sentiment, reporting to British Security Coordination chief William Stephenson about what he'd seen and heard. Later in life Coward reflected that he could have made a career in espionage, 'except my life's been full enough of intrigue as it is.'" Coward said that his cover was to just be himself, flamboyant and social, and tasked to use his celebrity to pick up useful tidbits of information. Spy Vibers of course celebrate Coward for his memorable roles in the 1959 film Our Man in Havana (below) and The Italian Job from 1969. It has been written that Coward turned down the role of Dr. No in the first 007 movie. I leave you with one of my favorite Noel Coward tracks, Mad Dogs and Englishmen from 1932. I've seen Coward describes as the first Brit Pop star! I have a spy novella coming out! Stay tuned and follow Spy Vibe by clicking the Follow link at top right of this page. 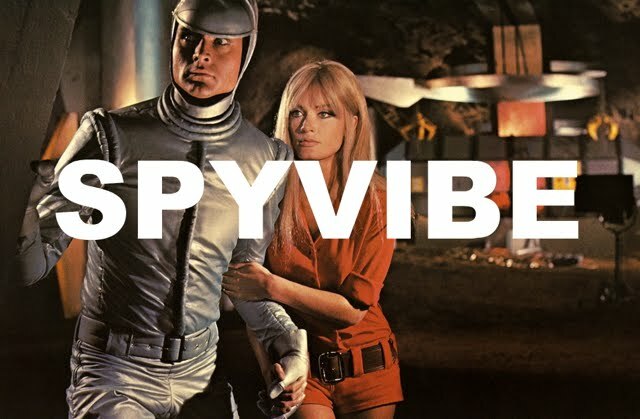 Did you know that Spy Vibe has a Pinterest page? You can see collections of images of Ian Fleming's life, dynamic vintage action, cliffhanger serials, Japanese designs from the 20s, vintage mystery novels, and more! Ian Fleming board here. Check Spy Vibe for recent posts about 1960s espionage writers, Spy Vibe's discovery of a rare Ian Fleming serialization, my review of SKYFALL, 007 at the Intnl Spy Museum, Johnny Sokko and His Flying Robot, new Beatles bio from Mark Lewisohn, tributes to Donald Richie and Tony Sheridan, the Les Vampires serial on Blu-ray, Lucy Fleming, The Beatles first record session, Ian Fleming's desert island interview, new Ian Fleming book designs, Fantomas, Spy Smasher, Barbarella tv show, British spy comics, Piper Gates retro designs, Cinema Retro, and more. Want to support Spy Vibe? Please make a small donation with our secure Paypal tip-jar link at the top left of the main page. Nothing is too small to help cover the increasing bills for the domain, web-forwarding and other costs to maintain the site. Thank you! TED GOTTFRIED: MAN FROM O.R.G.Y.